Enjoy MOUNTAIN VIEWS from the front covered veranda of this END UNIT townhouse with NO CONDO FEES. 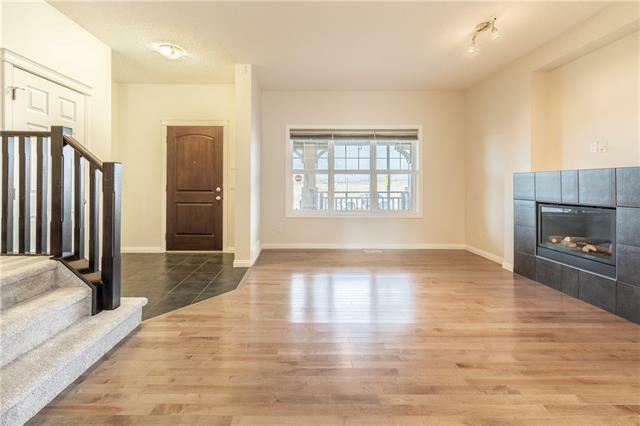 The main floor offers a bright open concept plan with hardwood floors and cozy gas fireplace in the living room. 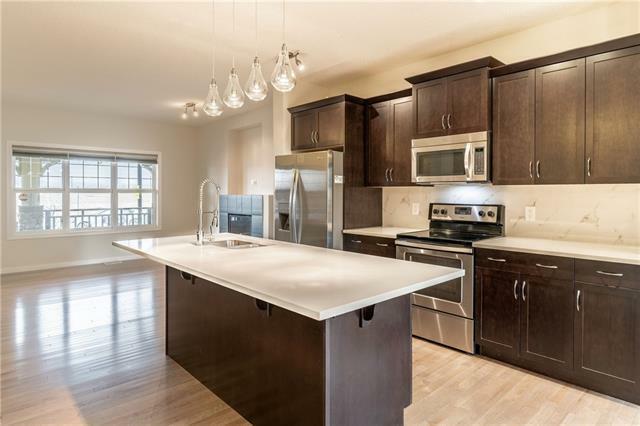 The kitchen has been upgraded with SS Whirlpool appliances, a large quartz island and provides a deck off the breakfast nook. 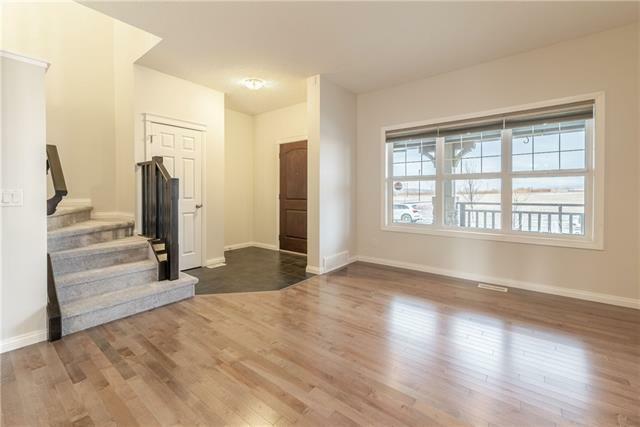 The main level also has the convenience of a 2pc bath and spacious foyer. Upstairs you will find a beautiful bright master bedroom with mountain views, 3pc ensuite, and large closet. The upper level also gives you extra family living space with a bonus flex room, 2 additional bedrooms, and 4 pc bathroom. This home has been very well maintained and includes BRAND NEW CARPET and FRESH PAINT. Access the rear attached garage from your kitchen that also provides a driveway, room enough for your parking needs. 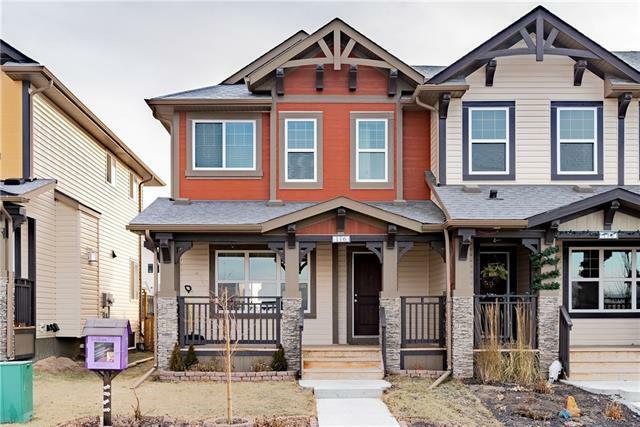 Located in the family friendly Heartland neighborhood and located across from a greenspace and a great playground with stunning views of the Rocky Mountains.